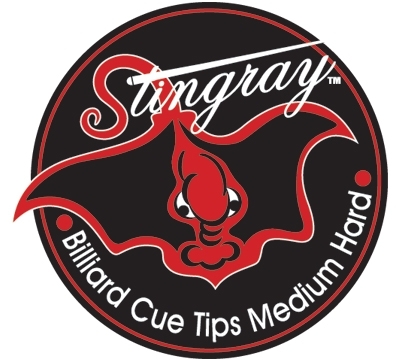 Stingray cue tips are made from 11 layers of 2mm thick cold weather pig skin. Since 11 layers are used in the production process, the density is high, which gives the tips a solid feeling/hit. During the 11 layer production process, the tips are soaked in tree sap and compressed, which leaves a thin layer of sap on the skin. This unique process which leaves a thin layers of sap; helps glue the layers together and makes the tips more stable. Our tips help improve shot consistency and control. Email us if you are interested in carrying our tips for your retail establishment.